Smashburger has opened at JBG's new Galvan at Twinbrook development in Rockville. The restaurant opened yesterday, after postponing the original April 6 opening. Galvan is located at 1800 Rockville Pike. 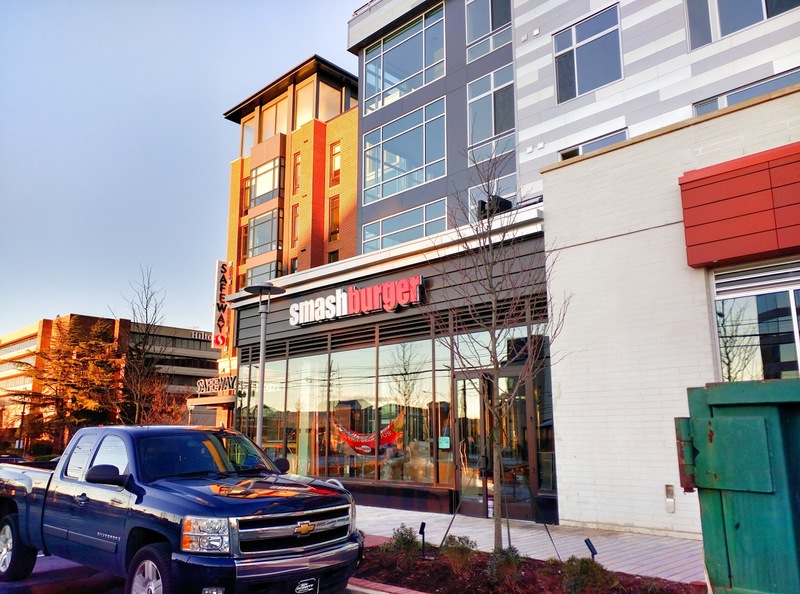 Smashburger has several other area locations, including Bethesda and Downtown Crown. What, you couldn't scam a free meal from them to disgust us with as you stuff your pie hole? You're slipping Dyer boi.